Designed from authentic leather, the Lonsdale L60 Leather punch paddles are excellent for keeping high pace training linked with accuracy and precision timing. The paddles ensure secure fit with wrist wraps, whilst the L:Core technology makes the punching sensation phenomenal through increased impact absorption. 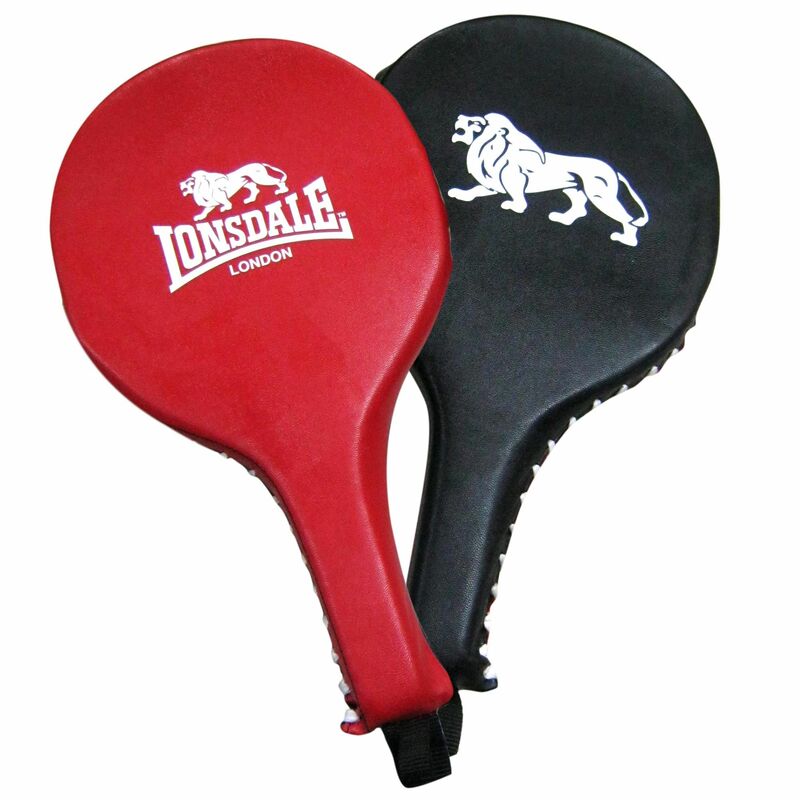 The paddles features the well-known Lonsdale branding, and are shipped conveniently as pairs. for submitting product information about Lonsdale L60 Leather Punch Paddles We aim to answer all questions within 2-3 days. for submitting product information about Lonsdale L60 Leather Punch Paddles. We aim to answer all questions within 2-3 days. If you provided your name and email address, we will email you as soon as the answer is published. for submitting product review about Lonsdale L60 Leather Punch Paddles.